Today I have for you a delicious, easy recipe that only takes about 18 minutes to bake, which is perfect for the summer heat. 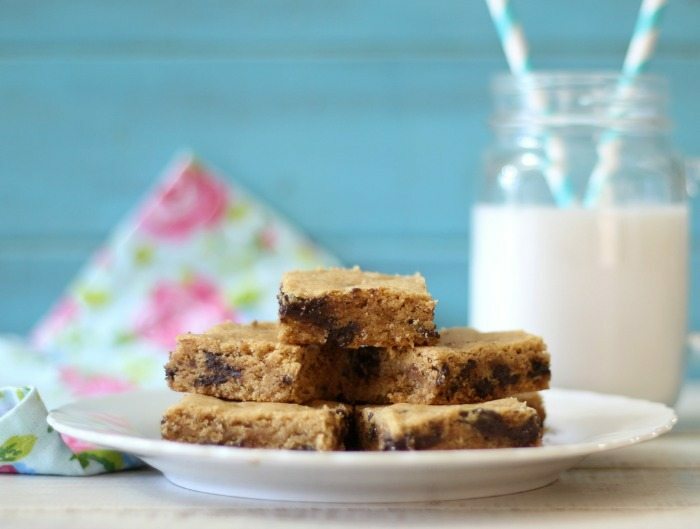 It is my Peanut Butter Chocolate Chip Bars. Every Sunday I bake cookies, bread or some form of baked goods, so today I changed up my traditional recipe and made cookie bars. Yum! 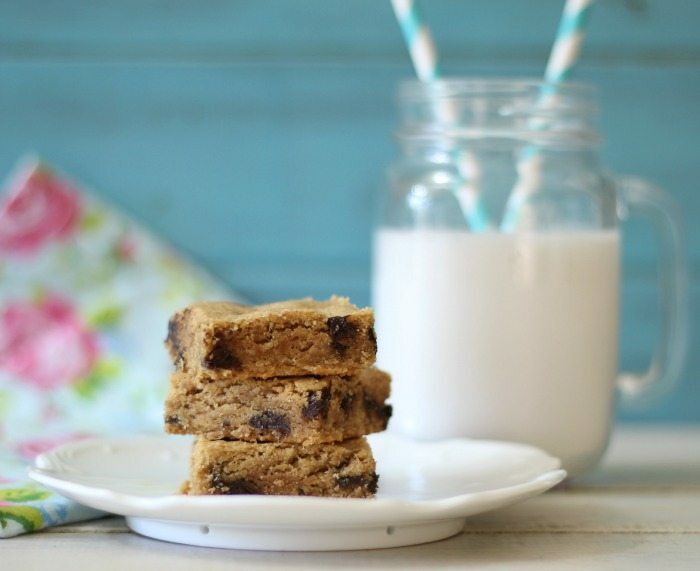 These bars are moist, and have the perfect peanut butter taste. Since they are so sweet and peanut buttery, I cut the bars into 36 slices. Which is simply the perfect bite of sweetness. The only problem is just eating one. 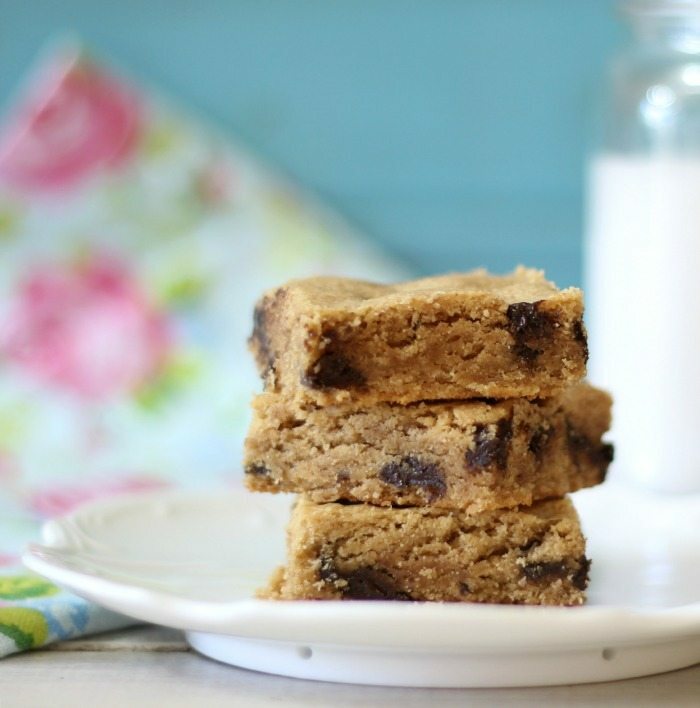 A moist, easy cookie bar made with peanut butter and chocolate chips. Only 124 calories each. In a small bowl add flour, baking and soda; mix until combined. In a large bowl, add brown sugar, granulated sugar, peanutbutter, and butter; beat until well combined and creamy. Beat in the egg, vanilla extract and maple syrup. Slowly beat in flour mixture. Stir in chocolate chips. Add cookie batter to baking pan; make sure it is spread evenly. I used my hands. Bake in oven for 18 to 20 minutes or until center is set. 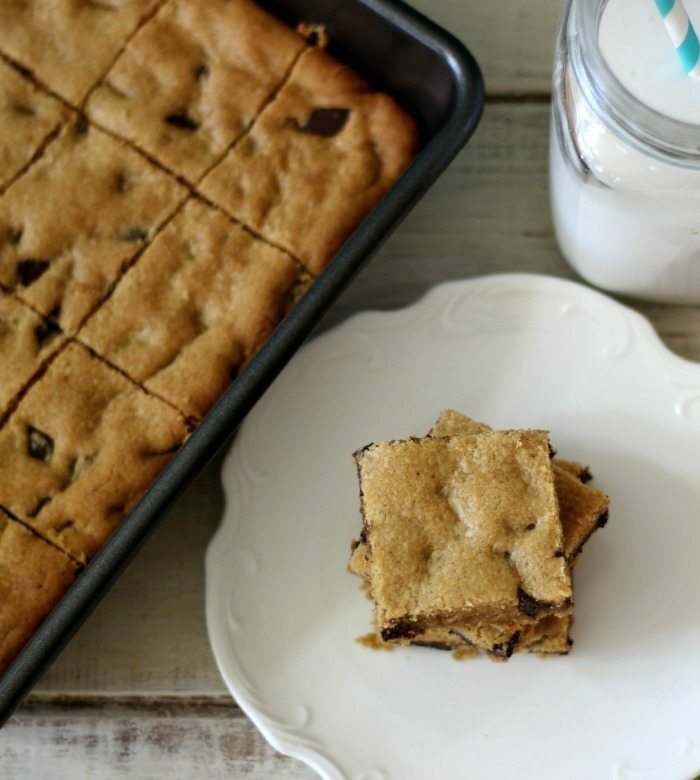 I love simple recipes like this and it beats having the oven on for over an hour to make a batch of cookies. I froze my bars in freezer bags for easy grabbing.